Tully Nurseries, Ireland’s premier supplier of plants in Ireland and the UK, has just been awarded ‘Best in Show’ at the HTA National Plant Show in Coventry. Description: Over 30 years in business, Tully Nurseries is one of Ireland’s premier suppliers of plants supplying customers in Ireland and the UK. Our customers include Landscape Contractors, Landscape Architects, Garden Designers, DIY chains, Garden Centres, Supermarkets and private homeowners. With the largest ‘One Stop Shop’ for plants and trees in Ireland, Tully’s have something for every garden. The nursery employs up to 35 people from several countries including Ireland, Poland, Latvia, Lithuania, Russia and the U.K. 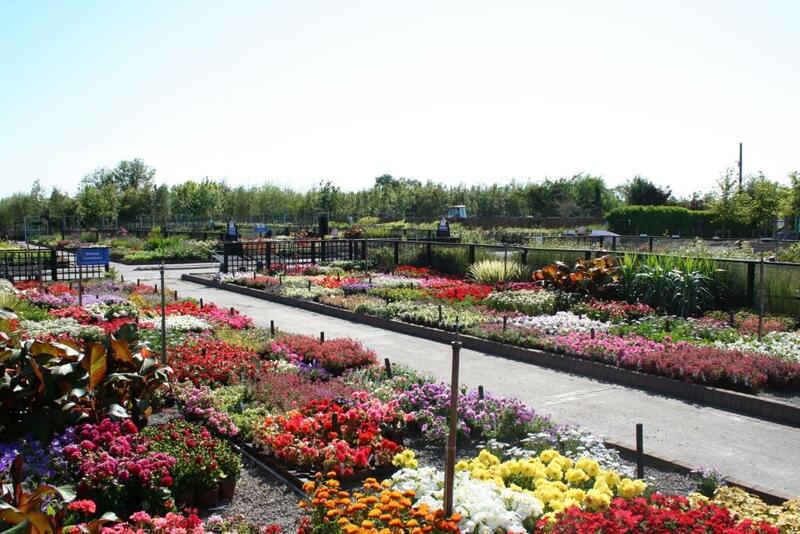 The nursery and garden centre takes pride in having Ireland’s largest range of plants from bedding plants to big trees, traditional treats to enchanting exotics, they have the lot! The nursery grows over 1 million plants per annum and is renowned for the production of new and existing varieties of Hebe’s for supply to Ireland and the UK. In order to meet customers’ demands for something new, better and different, they have produced many new varieties from seedlings and sports discovered in the nursery and garden centre.